Sometimes you do not need to have an MBA to earn good money. It is enough to do what you love. And if you do not have a hobby, then I will help you find it. 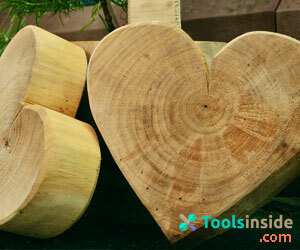 Woodworking is one of the very useful hobbies that not only develop skills but also help to make good money. I suggest starting with the very basics. Woodworking is a fascinating process of translating ideas from wood. Usually, people use a lot of tools to make something out of wood. Of course, you will also need skills, but it can come with experience. At first, you will have enough patience and zeal. Woodworking is a very interesting hobby. You can make everything that your mind can imagine and there is no limit to your imagination. In addition, this hobby is very practical and with a good deal of cases, you no longer have to go to the store for furniture – you are your own interior designer. Woodworking does not end with the construction of a birdhouse. In fact, this direction has several types of projects in which you can be involved. No, no one will make a fire. Pyrography or pyro-engraving is one of the areas of woodworking, within which a pattern is created on the tree by burning it. To do this, you need to use a special tool that looks like a pen. It heats up (more often from electricity) and burns out what comes to your mind, on a tree. Your grandmother made ornaments of the thread, and you can make it from wood, or rather from fine wood. Using a spiral saw and thin blades, you can cut out different parts or make one as a souvenir or decoration. You can create both flat and three-dimensional figures that affect consciousness. Wood mosaic has two categories: marquetry and Intarsia. The first is a form of inlay. You cut a piece of veneer into separate pieces and insert it into another piece of veneer. You need to laminate everything that happened. The second little-known word is a mosaic design. You use different sizes, types of wood, shapes and collect all this in one composition. And finally, you can use your skills to work on wood in construction. You can make furniture, boxes and even build houses. In creating furniture, you are free – you can build functional furniture from any type of wood. By the way, it is the main direction of woodworking in which most masters are employed. If the furniture you trust Ikea, create boxes. Functional, decorative – it does not matter. You can also make lathes, carpentry, and band saw machines from wood or separate parts for this. In the end, original houses always attract attention. Why not build a wooden cozy house with your own hands? It’s complicated, but the result is worth it. I advise you to practice and get down to business. And now we turn to the most interesting. Woodworking gives you not only the development of skills and emotional satisfaction (as well as the unique accessories of the house), this hobby can become your profession and bring a good income. There are many directions of woodworking, in which you can be realized as a professional. The first thing that comes to mind is house building. Within the framework of house building, you can build a house from the beginning. It is quite difficult, but it easily pays off. Building a house is the mainstay where the skills of woodworking are needed most. How about interior decoration of the house? It includes windows, doors, racks, fireplaces, stairs, balconies, railings, wooden floors and so on. All this requires a high-quality and professional creation, as well as installation. Many people dream of owning a study in the house. To build a wooden cabinet from an expensive tree is a good idea, is not it? You can work with a storage system, cabinets – the house as a whole requires qualification work. There is no doubt that this is one of the largest areas in which you will not be out of touch with customers. Why It is Worth to Make Money from Woodworking in Your Own Garage? To begin with, you are not a copywriter to work from co-working. In fact, the garage is one of the most versatile and suitable places for woodworking. The woodworking workshop will not be installed in the house, because it will be very noisy. The garage is the most suitable place where it is quiet, and the creation of working noise will not disturb anyone. The garage has a high isolation and proximity to the house. It turns out that you work at home, but do not violate family harmony. Saving time on the road to work – that is what saves humanity. You work at home, but you have a convenient work schedule. Find the most productive hours for you and work from home. In addition, all you need is at your fingertips, because you’re at home. How much would it cost to rent a studio? You can reduce potential costs by working with woodwork from home. To be honest, the transaction and the assembly of parts, wood, and tools are costly. Working at home is an excellent way to save on rent, utilities, and other things. It is not a secret that the garage has long been used as a workplace. That is not only convenient and economical, but you can also use any mock-ups and ideas to transform your workplace. Make the workplace such that it will help to do the work efficiently. Let the garage be organized, that you can find the instruments with your eyes closed. Create a convenient workplace for you. You can store everything you need, tools, parts, and material in the garage. And all this will be protected from capricious weather, and you will be able to work comfortably at any time of the year. It is important that the workplace had good lighting, a system of dust collection and powerful ventilation, then this will be a real paradise. The result of wood processing is found in almost every house: doors, floors, decor, and accessories. Most of these interior items are handmade or have some detail handmade. Anyway, all the furniture is created in the factories, where the professionals of woodworking work. It turns out that the market is in dire need of those masters who will do handmade production from home. But before you open your own business and “row” money with a shovel, you have to do something. To start, learn the sale of the woodworking industry. For example, what is most often bought or what type of tree is most in demand. Find your target audience for which you will work. It is easy to find. The Internet will help you find catalogs, sites, and forums on which you will find all the necessary information. It is also important to determine the methods that you will use when making wooden objects. So, we will summarize – sales, target audience, methods. You must have all necessary woodworking tools e.g. electric drill machine, several drill bits, saw, wood router, jointer, biscuit joiner, planer, matrix drill etc. Another main thing is you should have good drill bits for wood working, metal working and steel working as well. You can buy screw extractor and drill bit sharpener later. Before forming a price for your services, you need to know the prices that suppliers indicate, as well as retail and wholesale stores. The price of suppliers is necessary to eliminate costs through the price of your products. The price of retail and wholesale stores is necessary for you to know the competitors in person and be competitive. They say, “work for the poor to become rich.” And it is true! Do not raise the price to the sky, let the price for your services be low, it is the trick that will attract clients to you. You do not have large overheads at work, you do not need to pay wages to anyone, pay rent, and so on. Therefore, “low price” – than with what you should start. Yes, the Internet is the lord of the world, but good items can only be found in offline markets or fairs. Various artisans create something and sell at fairs. I advise you to spare time for this event because it will give you inspiration and teach you. The matter is that such artisans create small items that will be useful in everyday life. And it is a good way to earn because a lot of small items (it takes very little time) can be sold in one day. Or find your “zest”. A good brand is good only because it differs from others and offers the client something that no one offers. It is the right strategy. After you have monitored, found the uniqueness and is ready to show the world your works, make the first samples. I recommend that you make the first collection and put it in a prominent place as an advertisement. Sales can be started from the next collection. Make business cards, logo. Go to the fair and tell people about you and about what you’re doing. A lot of people have to know about you as many as it is possible. It’s not necessarily your target audience, requests can come from anywhere. Even when you have not the first wave of customers, keep the quality of your products, be sure of it. It is bad if your subjects leave much to be desired. Work on yourself and always be competitive.